This week I received a very nice package in the mail: a new book. The ultimate guide to Assistive Technology in Special Education by Joan Green is now available. This guide is a well-organized resource that provides information about a variety of tools available to professionals assisting individuals who have a communication disorder. This is a great guide for anyone; and it is so user-friendly and organized that it would be extremely useful for those looking into becoming experts in technology. Joan also talks about how the technology has become much more affordable. It is so true! Especially when we think about the difference in price for apps and the similar products that are either paper-based or dedicated devices. As an app developer myself, I see many of us forget that even a $49.99 dollar app (the most expensive out there) is still significantly more affordable than its similar paper cousin. The resource is so broad that naming it “assistive technology” may lead some of us to think it is only referring to AAC; when in fact it goes above and beyond. 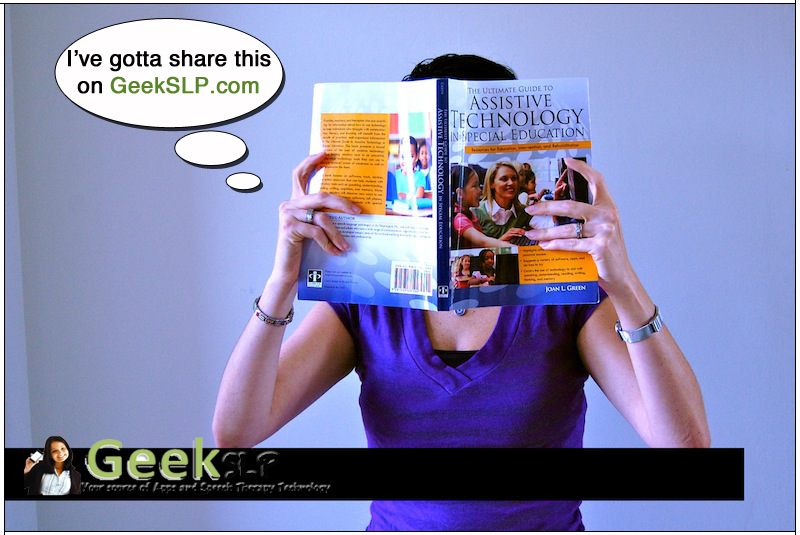 The book is also a great resource for SLPs looking into justifying grants for getting funds for technology. Joan’s book also servers as a “tech dictionary” with detailed explanation of words such as “desktop”, “smartphone”, “touchscreen”, etc. From chapter 4 to chapter 10, Joan dedicates each chapter to technologies that would help improving specific areas of needs such as verbal expression, auditory comprehension, reading comprehension, reading skills, written expression, cognition, learning and memory. This is great new addition to my resources! Thanks Joan.